This update is primarily aimed at the map and its zoom function. It is now finally possible to zoom the map continuously by using the finger-spread gesture. The set magnification remains, even if you take the finger off the screen again. In the previous versions the zoom level jumped back to the next fixed zoom level. Furthermore, you can increase the zoom level, even if the card provider does not offer this zoom level. The map tiles are getting enlarged accordingly. With the classic map tiles of 256 × 256 pixels, the zooming is fast coarsely pixelated. Therefore, the app now supports higher resolution map tiles of 512 × 512 or 768 × 768 pixels resolution. This makes especially sense for the new smartphones with higher resolution displays. The map will look much sharper. You will surely find no online map provider having 512×512 pixel map tiles. You must generate this high resolution maps by yourself with e.g. Maperitive. 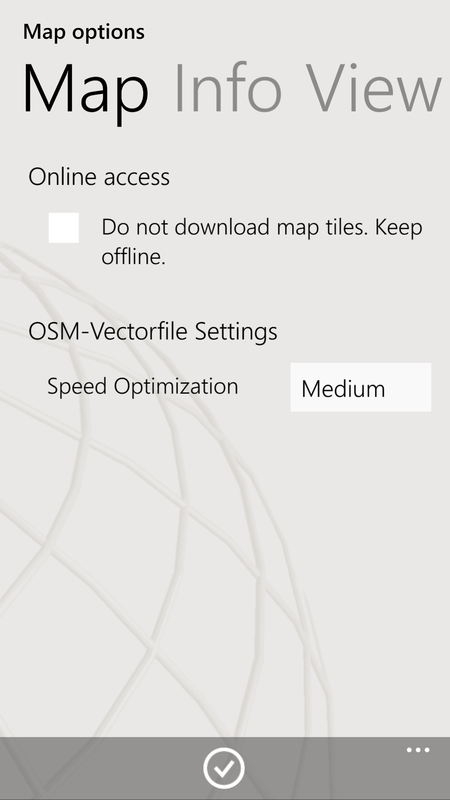 The OSM vector maps can also be generated with 512 × 512 pixel tiles with an option on page “map options / Map”. 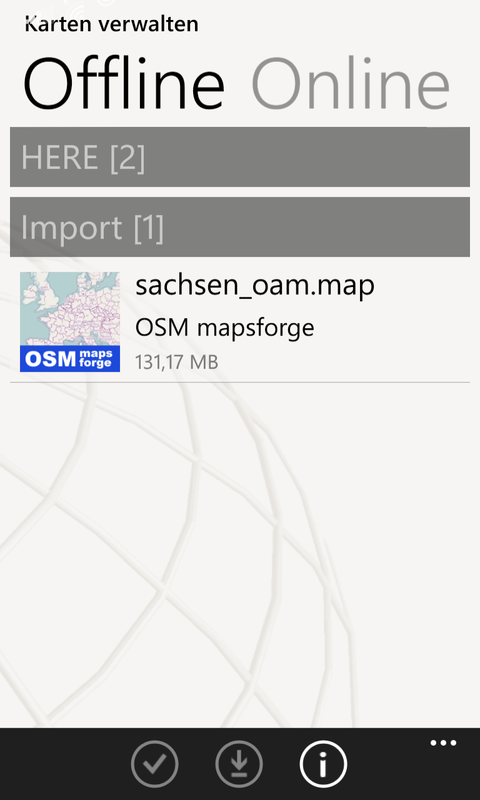 This update speeds up the map rendering of the OSM vector maps somewhat. 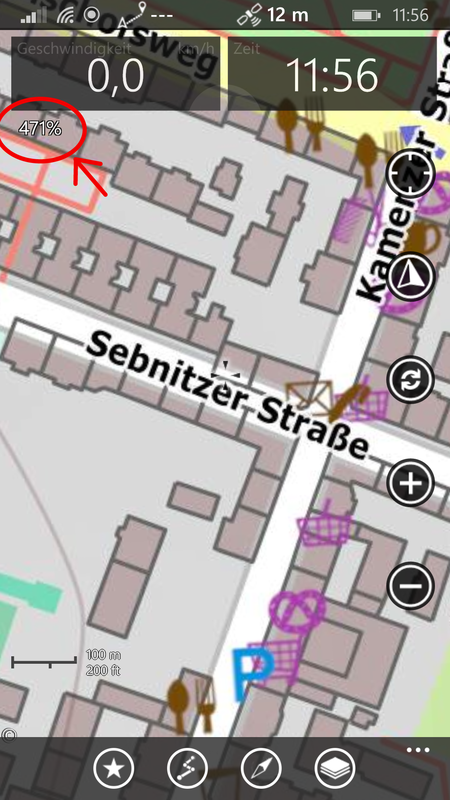 You can customize the details of OSM vector maps according to the speed of your smartphone, with the new map option “Speed Optimization“. The slower your smartphone, the higher the speed optimization should be set. Default is ‘medium’. The online access for the map can be locked now to prevent downloading of map tiles even when online access is available. This option only applies to online maps. 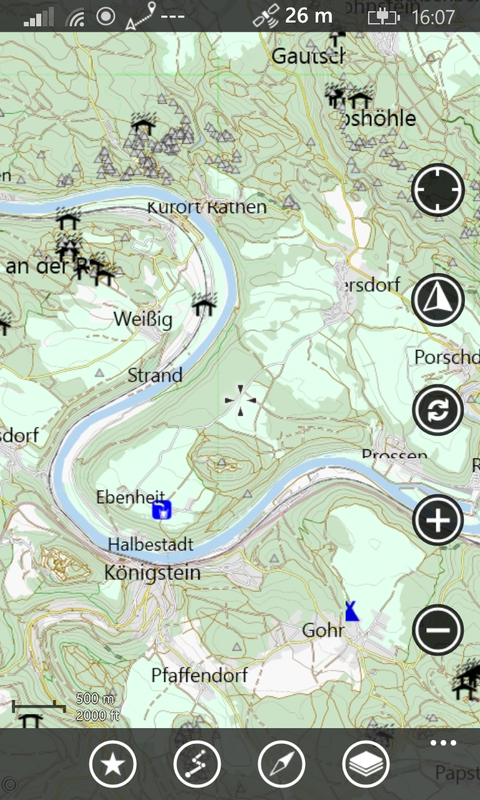 Accessing the geocaches can still take place via the refresh button on the map. This app has been migrated from WP8.0 to WP8.1 environment. This has not only advantages but also disadvantages. 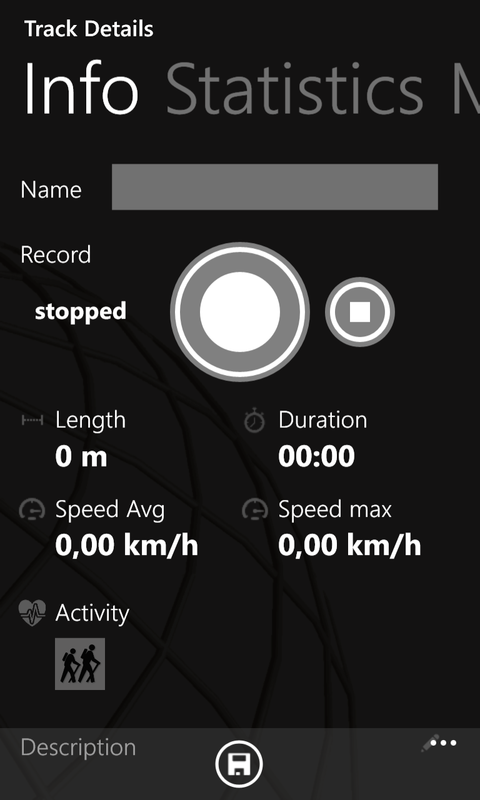 Under WP8.1 an app can not run in the background while continuing the location tracking. 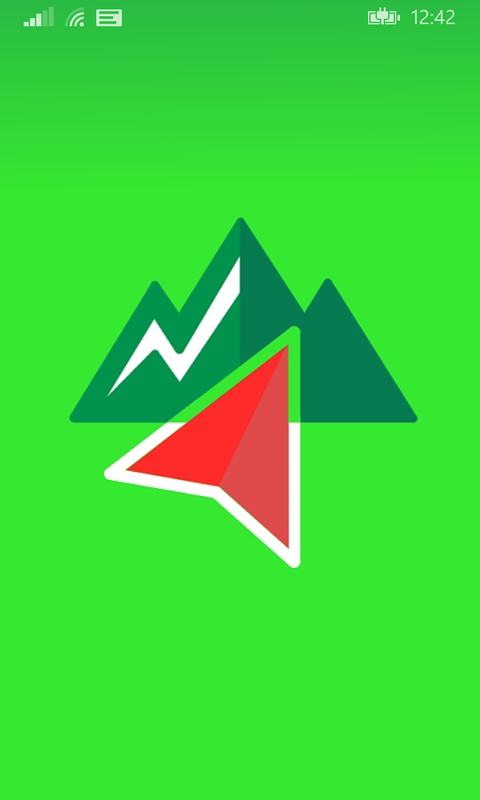 If you use another app while the track record, for example a photo app, you must return to maaloo to further record the track. You can do this by pressing long on the back button until an overview of all running apps appears. Then simply tap on maaloo again. You can switch off the display, to save energy. The track records also under the lock screen. Some users have also update errors on WP8.1. The most solution is to reinstall the app. If some other users had similar problems and resolved them, please let us know your solution here by replying to this post. This update extends the detailed view of the tracks. 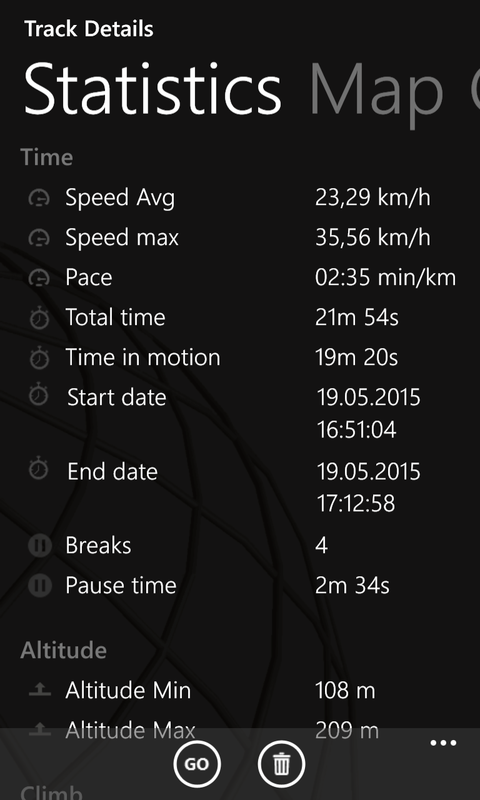 Added are a few statistical values in order to analyze your activities even better. The recording buttons for start, stop and pause were shifted from the track managment to the detailed view of tracks. Live stats of your current recorded track is now also visible in the detailed view. 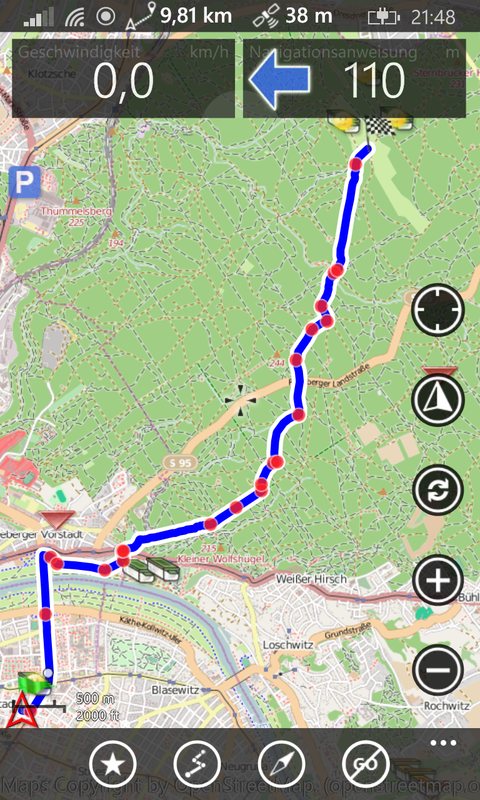 With version 2.4 the topic active navigation is introduced. What we have now is the ability of simple voice navigation for routes having turn instructions.The turn instructions are included in the route automatically, if you generate the route by the “Route calculation” function, wich needs online access. 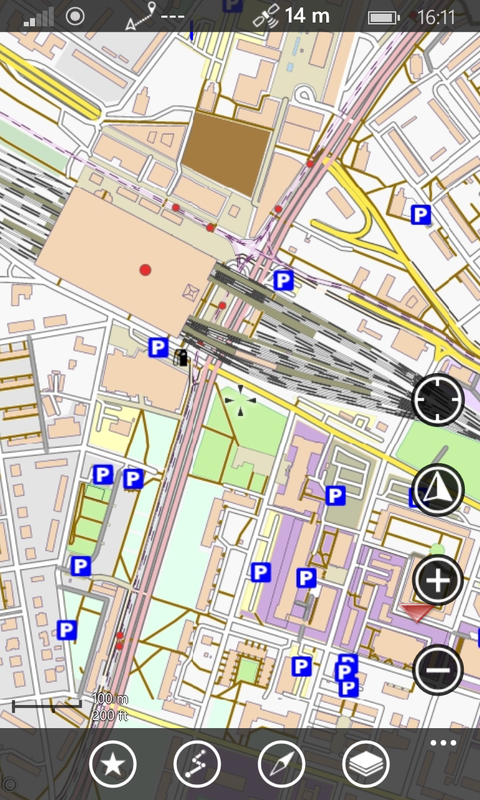 Alternatively, you can add turn instructions by hand to existing tracks and routes by editing the track points. The turn instructions are illustrated in the upper info panel of the map by an arrow and the distance to the next turn instruction. At distances of 100, 30 and 10 meters, the forthcoming change of direction will be announced by a simple voice output. This app will however show no lane change or similar informations. Therefore, it is of limited use for car navigation. The outdoor area is and will remain the domain of maaloo outdoor. ETA, ETE and the distance to the target relates to the way along the active route and is no longer limited to the shortest distance between the GPS position and target. the Geocaching function “Friends” gave an error message when you view the logs. The number of the last logs had to be cut to 30 logs. Bugfix for the address search feature. You can switch between different views of the info panels by a click on the middle of the info panel between the two info fields. There is also an empty info panel if you want to switch off the info panels. Route calculation from Point A fixed. Coordinates of the waypoint for point A were erased after calculation. Errorcode c101a7d1. Some users from germany got the full version for free while the app special in April 2014, but now having trouble with the update. Please read further information on the german blog.